I love to travel and spend time outdoors. But lately there’s been too much work and not enough play in my life. Talk about spinning my own self created wheel! What is having me all up in sorts? Lack of travel. Last year around this time I had already visited 6 National Parks, driven the entire coast of Oregon/Washington and been to countless other places. This year, I’ve only done one camping trip to Moab and a trip to Sweden and Scotland. I haven’t been anywhere outside my local area for a month! Now some of you will blur out a not so nice word because from your point of view that’s a lot of travel but to me I’m way behind on my travel list for the year. Not to mention hiking. Normally by now I’m hiking 4-6 hour hikes on the weekends but I’ve been working so much I haven’t had time to go much longer than two hours. What is different in my life this time around? Blogging. I didn’t start blogging on a regular basis until July of last year and I didn’t get serious about it until this year. All the “I should write about this and that” were mostly just thoughts. Now most of my spare time goes to writing blog posts, a book and running a side business which has cut into my playtime. So what is a girl to do? When you start working on a side gig, project or business so that you can create your own path it’s hard to keep that work-life balance. It’s easy to spend more time on work than not especially if you are like me and want to build Rome in one day. I’m already quite productive but there are always things I can do better so I’m going to experiment with various productivity techniques to see which ones work and then share the results with you. Batching is commonly used by uber productive people. 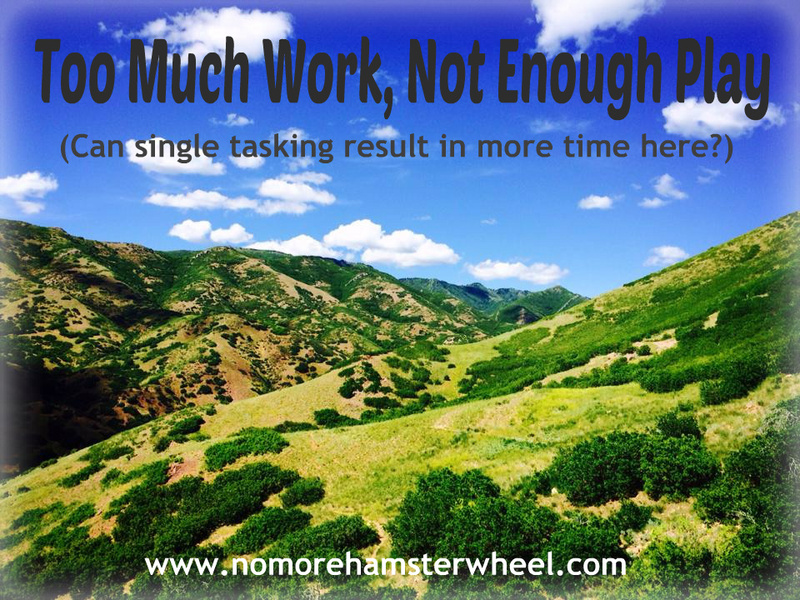 Instead of multitasking jumping from project to project, constantly checking emails, working on this and that they block out time when they only do one thing such as writing blog posts or checking emails. For a set amount of time all they do is to work on that one task or project. They practice single tasking. Single tasking is something I struggle with. I do better when I stick to a weekly schedule but I easily get bored so I jump from one thing to the next. Which is why I have about fifty started blog posts in my writing folder and only a handful finished. If you are familiar with the Myers-Briggs personality test that’s a classic ENFP trait. We are great at starting things but not very good at finishing. We rather hand it over to someone else to finish so we can start something new! However, jumping from project to project is quite inefficient and with all the projects I have going (and I’m sure you do too) I need to find a better way so that I can have the kind of work-life balance I prefer. I will know in a few weeks if batching and single tasking works or not. Do you practice batching and single tasking? If not, what productivity techniques have worked well for you? 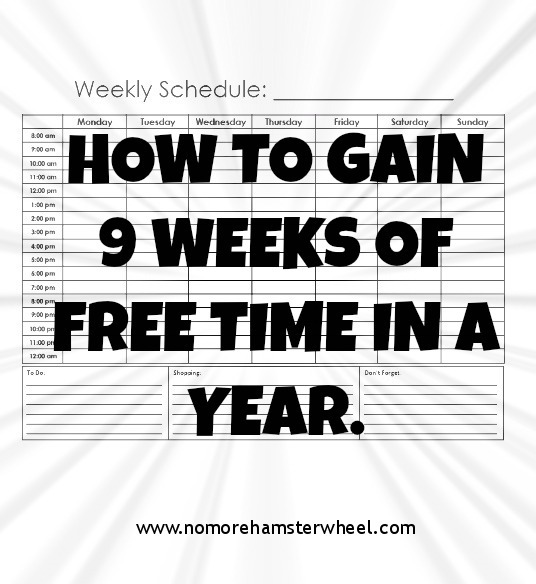 How to gain 9 weeks of free time in a year! What if I told you that you have more free hours in a day than you work? Yes, you have more non-working hours in a day than you have work hours. Let’s do some math here. There are 168 hours in a week. That’s 67 hours that you are not working or sleeping. Divide that with 7 days and you have 9.57 hrs per day!! You have over 9 hours of free time per day! How many hours in a day do you spend showering, making dinner, grocery shopping, exercising, and taking kids to activities? Not 9 hours a day I hope. So where are all those hours going? They disappear because we are not intentional about how we use them. Time is like money, if we don’t track it then it has a tendency to just disappear. I’m a big fan of Dan Miller. Years ago when I started following him I remember how he kept mentioning that we all have 168 hours in a week. That really stuck with me. I started being more intentional with my time and how I use it. It’s a struggle at times but the more I work on it the better I get at it. Something that works for me is to block out time in the morning for quiet time and exercise. I also read, write, check things off my to-do list and cook breakfast. I do these things before I have to get ready for work. If I start checking emails, social media and turn on the morning news my morning literally disappears. Those mornings I don’t feel as if I accomplished anything because my morning was filled with what I call “junk” instead of good stuff that fuels my brain and gives me good energy. So what are some ways to start using time better? – Turn off the TV. Ask yourself what programs will give you a good return on your time investment. Is sitting down mindlessly in front of the TV a good investment of your time? What better things could you do than watching TV? If you watch the average amount of hours a day that people watch TV you’ve watched well over a decade of TV during your life time! That’s well over 10 years of just watching TV non-stop! That’s how your daily action can add up. – Make a list of the things you want to accomplish that week. I have a list of things I want to accomplish each week. I do most of them in the morning because that’s what works for me. Key to success is to do the things you need to do first before doing things that is not on the list. If there’s any time after that, reward yourself with some goofing off time. – Limit social media time. Facebook and Twitter can be huge time suckers if we don’t pay attention. I know some that use a timer, set it for 15 minutes and when that time is up they log out. I have recently started doing that and it really helps. – Track where your hours are going by using an hourly schedule (you can print on off the internet). Write in what you are doing in 15 or 30 minute blocks. Do that for a week or two and then take a look at how you are spending your time. It’s a great visual to see where your time is going. I’m aware of that after running errands, doing house chores and all the other things we need to do that we don’t have a full 9 hours of free time but if you plan your time better you will find a lot of extra spare time. Often hours a day! Think of what you could accomplish in a week, a month or a year if you used those extra hours or even just 60 minutes a day. You can easily find one hour a day by watching less TV or spending less time on the internet. 60 minutes a day equals 365 hours in a year. That’s a lot of hours! Divide that into a 40 hour work week and you suddenly have over 9 weeks! Think of all the things you can accomplish with an extra 9 weeks of free time in a year. I don’t have a crystal ball but I’m positive you can accomplish a lot more by being intentional about how you use your time. What tips do you have for being more productive and intentional about your time? Tell me in the comments. 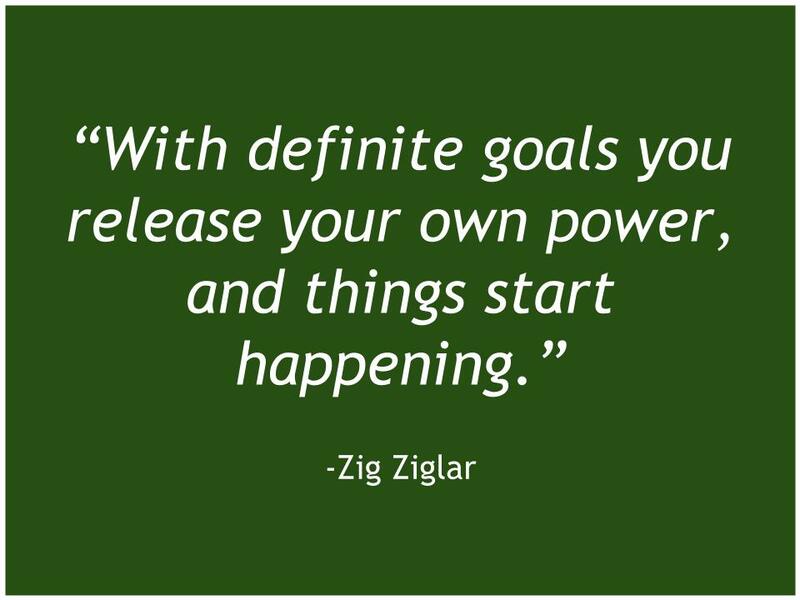 According to Wikipedia: Goal setting involves establishing specific, measurable, achievable, realistic and time targeted goals (S.M.A.R.T) goals. Have you written down your goals for 2014 yet? Now is the time to start planning for next year and beyond. Look back at 2013 and see what worked and what didn’t. What are some things you achieved and want more of? What are some things you wanted to achieve but didn’t? By writing down your specific goals, steps to get there as well as a deadline for each goal, you are more likely to achieve them. Make sure you set goals for all areas of your life. Why? Because they are all interconnected and part of you and your life. Dan Miller, creator of the 48 Days Blog publishes a free “The Power of Goals” guide each year. It’s a short ten page workbook. It’s a great tool and one that I try to do each year. Now of course, a goal does not need to be set in stone but if you write them down, refer back to the guide to see how you are doing, you are more likely to do them because they are right there in your face reminding you. How many times have you said you are going to do something just to remember a year later? If someone reminded you monthly then it’s more likely to happen. Sharing your goals with others is also a great way to be held accountable. Another important aspect is to set a date/deadline, or it becomes too easy to just push it down the road. I often use running a marathon as an example. If one of your goals is to run a half marathon next year I’m going to bet money on you are not going to run a half next year. However, if you send in the entry fee for the Nashville, TN half marathon that will take place on April 24, 2014 you not only have a date, you also have a financial motivation to start training. To view or print out the “Power of Goals” by Dan Miller click 48 Days Free Worksheets. 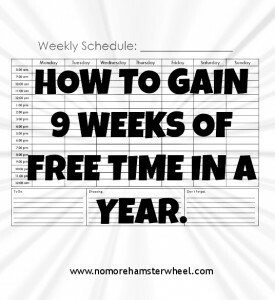 It will take you to all of Dan Miller’s free worksheets including his FREE worksheet for goals. 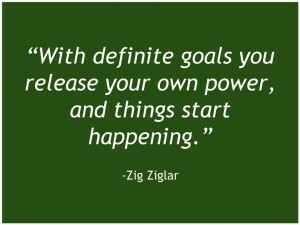 What are some of your goals for 2014?